This is one of the largest granite flat rocks east of the Mississippi, and it encompasses 2,267 acres of the most diverse protected area in the Piedmont region, including granitic flatrocks, waterslides, waterfalls, beaver pond, caves, hardwood and pine forests, and a variety of wildflowers and wildlife. It is a national natural landmark. Directions: From Kershaw, take US Highway 601 northeast 8.4 miles to SC Secondary 27, turn left on Conservancy Rd. and travel to gate area. Whether skating or watching while enjoying a hot chocolate, everyone can enjoy the experiences offered at this 50’x85’ ice rink. It is the ideal winter wonderland escape for lunch breaks, date nights, play dates and family outings, the outdoor venue boasts healthy fun for every age and skate size. Fee charged. Open seasonally from November through January, nestled adjacent to Fountain Park surrounded by holiday lights. Tucked away in the woods, this is an eco-friendly agri-tourism attraction for everyone who loves farming and the outdoors. Eggs, poultry and more. Featured on the SC Agriculture Farm Passport program and the SC Ag + Art Tour, this farm raises heritage breed chickens, turkeys and guinea fowl in addition to its namesake Nigerian Dwarf goats. Call for hours. Follow on FaceBook. Nestled on twelve acres of beautiful farmland, the farm is the ideal rustic chic venue for weddings, corporate picnics and other special celebrations. Bordered by a lush ring of tall pines and oaks, the property offers shaded areas for events conveniently located right next to the barn and firepit, and meadows with wildflowers overlooking two ponds with plans for both a gazebo and covered pavilion. Showy sunflowers add country charm and welcome guests along the laneway. Our ducks enjoy the refreshing spray from the fountain which serves as a lovely backdrop for photos. And our friendly horses, Baron and Magic, often take time from grazing in the pasture to greet guests in hopes of a treat or two. Enjoy sports shooting with Joe Cantey, National and International Sporting Clays Champion. Receive instructions from a certified NSCA instructor by appointment. Provides sporting clay courses in natural stands with a mixture of manual and automatic traps. Group outings are welcome. Tue-Sat, 10:00 a.m.-8:00 p.m. and Sun, 1:00-8:00 p.m.
Over 70 miles of trails-wooded and dirt roads. Wagons welcome. Campground includes water and electric hookups, heated bathroom and showers, horse stable and holding pens, riding ring and fire barrels for campfires. Inquire about Sandhills State Forest Trail riding permit. Tell 'em Donald and Carla sent ya and get $5 off a 1-night stay or $10 off a 2-night stay on your first visit. Located in the Sand Hills State Forest. This facility has been in operation as a conservation, education, and scientific research site for more than 28 years. It was established on an old Piedmont farmstead in 1982 and has been a field trip destination for school groups, college classes, environmental organizations, professional scientists, and others interested in conservation and nature. Designated an Important Bird Area by the National Audubon Society and BirdLife International. Open by appointment only. Visitors are NOT permitted to walk the trails. Guided trail rides (bring own horse, or one provided) for ages 10 and older in a beautiful setting. Also offering lessons. On Lake Wylie, this marina offers pontoon boat rentals that can accommodate up to 10 people. 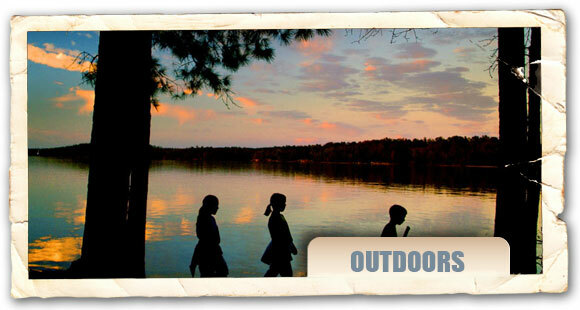 Offers picnic shelters, fishing, boat ramp and other water recreational activities. The Fairfield Recreation Commission operates a park at the lake. For information on the park area, contact the commission at (803) 635-9114. The smaller Monticello Recreation Lake is located north of the large body of water and is about 300 acres in size. Offers fishing two days a week (Wednesdays and Saturdays), swimming (no lifeguard on duty) and picnic facilities. Gates open from sunrise to sunset. The V.C. Summer Nuclear Station Nature Trail is located at the boundary of the V.C. Summer Nuclear Station exclusion area on the lake. Benches, wood duck boxes, blue bird boxes and plant identification markers dot this 1.5 mile trail. Fish for crappie, bass, catfish and bream in one of the state's oldest man-made lakes. With more than 13,000 surface acres and 242 miles of shoreline, the lake is a year-round favorite of campers, fishermen and recreational boaters. This 19 square mile reservoir touches the three counties of Kershaw, Fairfield, and Lancaster. It flows from the Wateree River and into the Catawba River. Free public access areas provided. The oldest lake on the Catawba, it was first created by a dam near the town of Fort Mill in 1904. This dam was rebuilt in 1924 and the lake's surface expanded to 12,455 acres. The lake has 325 miles of shoreline, and since portions of this lake lie in both North and South Carolina, fishermen are advised to obtain proper licenses. Truly the "Grand Daddy" of local tracks, the speedway is one of the oldest surviving dirt tracks in the south. The first race was held in 1954 and the track hosted two NASCAR races in 1957. Racing every Saturday night. Admission charged. 20 campsites, tenting, cabins, fishing and pull through sites, swimming, walking trails, wooded property, firewood, electric/sewer/water hook-up, handicap access. Close to public fishing, shopping, dining and golfing. storage facilities. Weekly and monthly rates. I-77, exit 32 (east 1.8 miles). The trail marks the location of a historic inn and camping site which provided entertainment and lodging for stage coach travelers. Water from the spring was well known for possessing highly valuable medicine properties, being strongly chalybeate. It is believed that the health resort was destroyed by Sherman's soldiers in 1865. Always accessible.